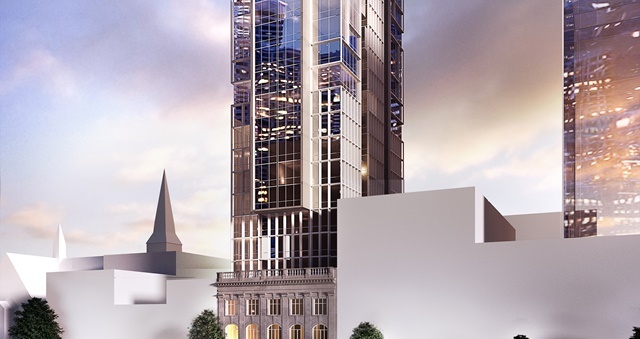 A rendering of the soon-to-open Hotel Indigo in central Auckland – the brand’s first NZ offering. Auckland will become home to the first Hotel Indigo branded property to open in New Zealand, it has been confirmed, with doors set to open to guests in 2021. Housed within a mixed-use development, the IHG boutique branded offering will feature 225 rooms, with most offering a view of the city or Auckland harbour. Behind the complex will be Australian property development firm Ninety Four Feet. In line with the Hotel Indigo theme, the hotel will feature artwork reflecting the “City of Sails” with local artists leading the way as inspiration for the property design, amenities, food, beverages and overall customer feel. It will be located near Auckland attractions including Sky Tower, the Convention Centre and the entertainment precincts of Britomart and Viaduct. Dining and residential options will be dotted in and around the new-build Auckland location in the city centre. The hotel will also offer meeting spaces and a fitness centre. The new IHG signing is the company’s fifth Hotel Indigo in Australia and New Zealand behind Brisbane, Sydney and two in Melbourne. “Hotel Indigo is one of our fastest growing brands globally and, closer to home, Hotel Indigo Auckland will be the fifth signing in Australasia. We’re so excited to open one of the first globally-branded boutique hotels in Auckland, creating a destination for travellers who are looking for a local experience, with the security and amenity of a global brand,” said IHG Senior Director Development Australasia Abhijay Sandilya.